38,66 € прибл. 2.782,43 руб. 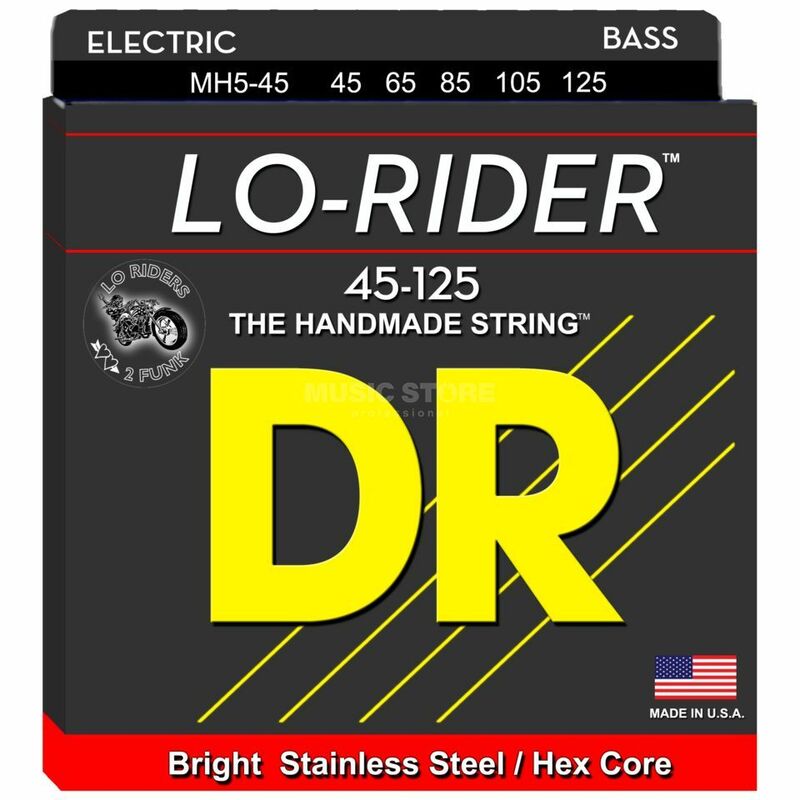 The DR MH5-130 Lo-Rider Hex Core Bass 5-Strings 45-130 are a full set of Stainless Steel Bass strings with Hexagonal Core wire and ball-ends. The Lo-Rider series includes the excellent depth of tone and brightness that DR strings are known for, but feel slightly stiffer than string sets from the Hi-Beam series.